One of the most corrupt officials in Ulhasnagar police Mahendra A Chavan finally arrested by Anti-Corruption Bureau (ACB) for allegedly demanding and accepting bribe. ACB officials also arrested his associate a private person Asan Ramesh Ramchandani who accepted bribe on behalf of Chavan. All the arrested have been produced before the Kalyan court today, which remanded them to police custody for 03 days. Chavan an Inspector in Ulhasnagar-1 police station allegedly demanded Rs 15,000 and accepted it from complainant Yogiraj Deshmukh. Deshmukh, the area ward president of Maharashtra Navnirman Sena (MNS) had complained against a builder over his illegal construction. Chavan called Deshmukh in police station and asked him to stop complaining against builder. Chavan also threatened Deshmukh saying if he failed to stop acting against builder he will book him under extortion charges and will extern him from Ulhasnagar city. Chavan allegedly demanded Rs 15,000 from Deshmukh for not taking action on him. Deshmukh approached ACB of Thane unit and registered complaint. On Monday evening ACB official team headed by inspector Ujjawala Vaidya arrested Chavan and his associate Asan Ramesh Ramchandani. “We have arrested Chavan and Ramchandani under Prevention of Corruption Act (1988). They have been produced in Kalyan court where they have been remanded in police custody for …” said Vaidya. Chavan is one of the most corrupt officials in Ulhasnagar police. Last year, in April, an FIR was registered against him at his own Ulhasnagar-1 police station. Chavan had allegedly threatened and booked a former NCP corporator in a false case. The corporator had refused to pay Rs 10,000 for renovation of the Chavan’s cabin. Chavan is also facing an enquiry for allegedly replacing gold jewellery — recovered from a gang of robbers — with phoney ones. 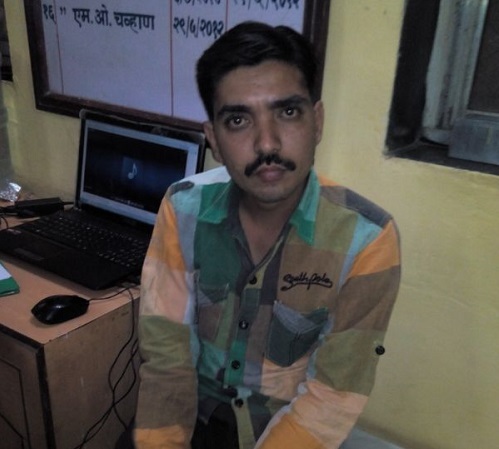 On duty, uniformed, Chavan attended a robbery accused brother’s birthday party at Ulhasnagar. 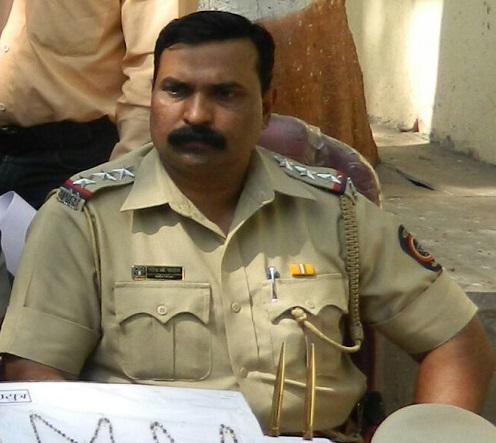 Chavan is investigation officer in robbery matter. The birthday boy was BJP leader and infamous land mafia Prakash Makhija. Not enough the Chavan presented bouquets and cake to the Makhija in presence of robbery accused Babu Makhija. (CD available with ABI).